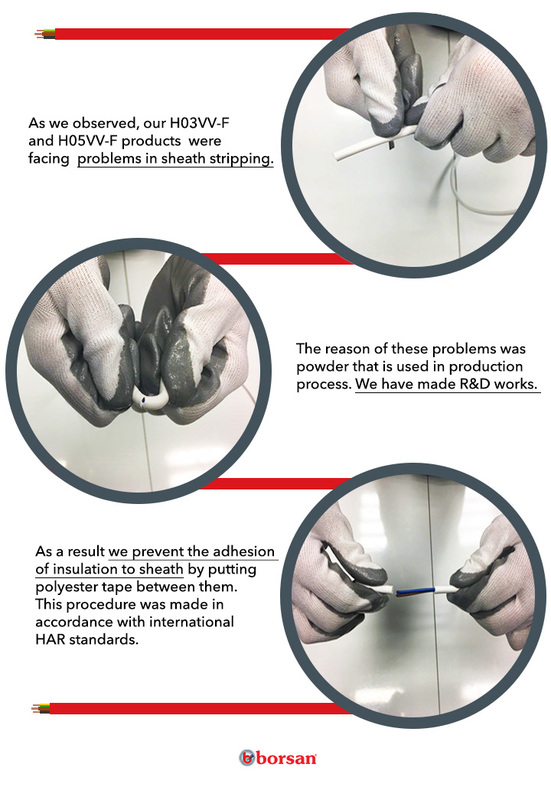 As we observed, our H03VV-F and H05VV-F products were facing problems in sheath stripping. The reason of these problems was powder that is used in production process. We have made R&D works. As a result we prevent the adhesion of insulation to sheath by putting polyester tape between them. This procedure was made in accordance with international HAR standards.